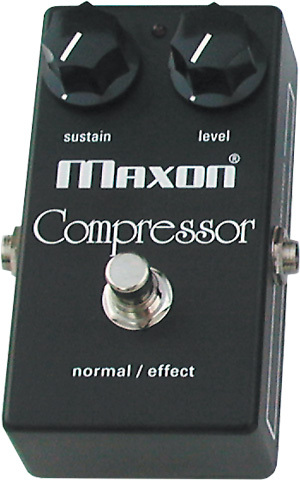 The Maxon pedal provides clean, smooth compression with ultra low-noise and incredible transparency. The CP101’s low compression ratio prevents changes to a note’s attack characteristics, yielding a more natural picking response. The Maxon CP101 can be used to increase an instrument’s sustain or to limit signal peaks for a smooth, even output.